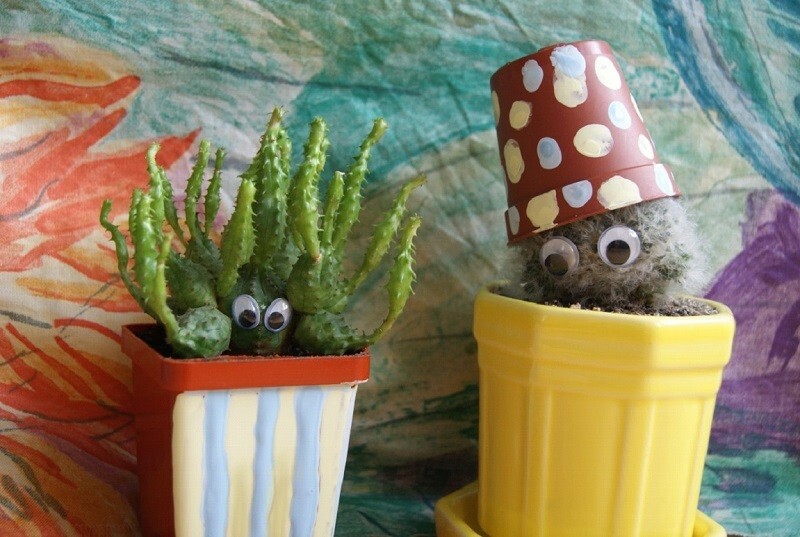 Eyes can make cacti extremely cute. Perhaps you have seen some used as decorations or on sale, but you can make your own – and your little friends can even wear a hat, a scarf or a bow. Easy and fun! However, be careful, many cacti have sharp spines that can be dangerous to small kids.